– Absolutely astounding information all the way through! Essential! 3) Project Camelot: "The Road to Ascension – A Conversation with David Wilcock"
– Excellent overview of David's life and career. – Wonderful 3-part lecture series. – Absolutely mind blowing predictions and information! – Spectacular new information on prophetic dreams on impending world events. – Great interview with George Noory with listener questions. – Another absorbing two-part interview. – Enthralling two-hour interview on historical and current news in US. – Essential information on the imploding economic system in 2008 and other current events. Wonderful! – Excellent information on our origins, ascension and more. – Absolutely excellent three hour interview with many great questions from the audience. 14) "2012 Politics Radio Show: Part 2 of 2!" – Inspiring words about Barack Obama and unfolding changes in our world! – Excellent presentation on the science and spirituality of 2012. – Background material on David's life and much more. – Fascinating information and conversation with Project Camelot. – Yet more almost two hours of insightful information. Visit our new Products page! Check out the Amega Wand, one of the hottest healing products on the market today! Webmasters, join our referral program and start earning from each sale! With David Wilcock's new-found fame after the release of "The 2012 Enigma" video, he has been asked to appear on numerous internet and broadcast talk radio programs, often several times. Here is a chronological rundown of the radio shows that have featured David Wilcock as a guest. Many of these radio shows can be found for free on YouTube but may randomly appear or disappear from time to time, particularly the Coast to Coast AM or other subscription only radio programs. However, you will find most linked on the left hand panel or below. Hot on the heels of the Project Camelot Whistleblower Radio program, David was invited on the Coast to Coast AM radio show the very next night on December 15, 2011. In one of his briefest appearances ever on radio, let alone on the Coast to Coast , David spoke for all of three minutes to briefly explain his controversial news article as mentioned below. David came on at the very top of the show during the news segment to passionately deliver his summarization of his article and developments over the last couple of days before host George Noory moved on to other news guests. David was not on the original roster for the evening but apparently was requested by many listeners. To listen to the show check YouTube or the Coast to Coast AM archives. Short and sweet. Not much more to say. – December 14, 2011 | Time - 1 hr. 42:37 mins. Coming directly on the tail of his latest interview with Benjamin Fulford (see our David Wilcock audio section) on December 4, 2011 that accompanied a blistering news article entitled, "CONFIRMED: The Trillion-Dollar Lawsuit That Could End Financial Tyranny", David was invited on the Whistleblower Radio show by Kerry Cassidy on Wednesday, December 14, 2011. This was a highly charged emotional appearance by David in which he could barely make it through the broadcast as he relayed the news of his death threat he had received earlier in the day. Clearly shaken by the whole ordeal, David nonetheless managed to summarize his article and add the information that would appear eventually appear in Part 2 on December 18, 2011. This new article was entitled, "The Trillion-Dollar Lawsuit That Could End Financial Tyranny, Part II: History Lesson". Also appearing on the show was a man named "Anonymous" who lent a certain strangeness and even more drama to the evening. To get more detailed review of this interview see our News article: On the Edge of 2012: The Road to Freedom Is At Hand. To listen to this program visit the Whilstleblower Radio archives. Emotional and mysterious, strange and melodramatic. Maybe one of the most bizarre radio shows David has ever appeared on. For the first time in 2011, David Wilcock appeared on the Coast to Coast AM talk radio program as a guest and stayed for nearly the entire show. This program, "Time, 2012, & the Source," was an absolutely fascinating discussion primarily centered around his brand new book entitled, "The Source Field Investigations," released in August 2011. More information on this show can be found in the Coast to Coast AM archives. Excellent show with loads of exciting information! – January 9, 2011 | Show Twenty-Seven | Time: 2 hrs. This was an excellent interview with the Irish hosts, Alan and Steve of the Open Your Mind Ireland internet radio show from January 9, 2011. David spent over two hours covering many developments unfolding behind the scenes from late 2010 and into early 2011. To listen or download this show visit the Open Your Mind Podcast page or in the Divine Cosmos Online MP3 Archives. More information on this interview can be found in the Open Your Mind Ireland archives. Excellent show and highly recommended! David Wilcock was back again on the Coast to Coast AM talk radio program a mere four days after his previous appearance, however this time with guest host Rob Simone on December 28, 2010. During the first hour of the program Dr. Sam Semir Osmanagich, Ph.D. spoke about his amazing discovery of the mysterious Bosnian pyramids, now thought to be perhaps the largest pyramid structures in the world, even greater than those found in Giza, Egypt. David came on during the second hour and stayed the remainder of the show for the full three hours. He has presented the Bosnian pyramids discoveries during his live conference appearances so he took the opportunity to elaborate on pyramidal structures found throughout the world. All in all, this was a wonderful four hours of fascinating and thought provoking information that Coast to Coast has built its reputation on. This program is highly recommended. To listen to this show go to the Coast to Coast AM archives. More information can be found in the DivineCosmos archives. Excellent program and very fascinating information! David Wilcock has now become such a popular guest on the Coast to Coast AM talk radio program, that host George Noory invites him on for special occasions such as this Christmas Eve program on December 24, 2010. David appeared only briefly during latter half of the third hour but he did discuss his thoughts on the Christmas holiday and the theory that Santa Claus is a mushroom. Technically not a radio program but more of a web cast/conference call, this was a special program featuring David Wilcock and Richard Hoagland along with the Project Camelot hosts, Kerry Cassidy and Bill Ryan. Unfortunately, this live program was beset with numerous technical issues however those were cleaned up and presented as two edited .mp3 audio downloads about a week after the conference was completed. This entire program can be purchased from the Project Camelot Portal web site for the price of $39. Thankfully, the edited version released by the Project Camelot technical crew allowed for a much better listening experience. The discussion flowed much more coherently which made this program one to recommend. The information discussed during the call was current and cutting edge although David had been reporting much through his excellent blog series entitled, "China's October Surprise" parts I – IV. One new perspective that David revealed was the major legislative effort that is underway behind the scenes to force the US government into disclosure. Richard Hoagland had much valuable input to offer particularly his belief that the Obama administration will be pressured hard in the coming year by unfolding chaotic world events that will make extra-terrestrial disclosure absolutely imperative. He was insistent that disclosure is unfolding day by day through the media, the government and world developments and it will not be an orderly affair but rather sloppy, disorderly and bewildering. Ultimately, this teleconference would have been best served had David and Richard Hoagland been permitted to have more of a back and forth discussion. Nonetheless, it was an excellent idea to bring these two disclosure experts together and they were eventually able to deliver an interesting program that stretched well beyond the original three hour time frame. This nearly 4 1/2 hour audio show can be listened to and purchased through the Project Camelot web site. Good program helped enormously by an edited version from the live teleconference. – December 8, 2010 | David Wilcock - 2012: 2 Years and Counting! | Time: 2 hrs. 5:56 mins. David Wilcock was back on the Myth or Logic radio program for the sixth time on December 8, 2010 for a fantastic two hour show. This program was superb due to all the latest and most cutting edge information regarding the world economic crisis, China's role towards freeing the world from tyranny, Benjamin Fulford and the missile launch off the coast of California on November 8, 2010. As usual, host Tom Murasso afforded plenty of time and space for David to express his ideas and explain his insider information in great detail. To listen to this show go to the Myth or Logic archives. More information about this program can be found in the DivineCosmos archives. – September 24, 2010 | Time: 59:25 mins. David appeared on Visionary Culture Radio with host Laura Fox while speaking at the Raw Spirit Festival at Watson Lake Park in Prescott, Arizona on September 24, 2010. David made his first appearance on William Henry's Revelation Radio show on September 15, 2010 and recorded a second half hour that was aired on September 22, 2010. These were two very fascinating programs which featured two individuals with a great deal of esoteric knowledge and research under their collective belts. During the second half hour, David talked about the 160,000 people in India who have disappeared that have activated their light bodies, or rainbow bodies, which transported them to a higher dimensional plane of existence. More information can be found in the DivineCosmos archives, as well as here. Excellent programs which leaves the listener wanting to hear more. David Wilcock returned to the highly popular Coast to Coast AM talk radio program with host George Noory for the first time in 2010 on August 10th. For more information on this program see the Coast to Coast AM archives. For further information, see the Divine Cosmos archives. – June 21, 2010 | Time: 55:37 mins. Although beset with numerous technical difficulties, if you are able to overcome those distractions then you will find this to be an excellent show on current events and much more. David discussed some very interesting topics such as the three dimensions of space and the one dimension of time that makes up our false sense of reality that we are experiencing living upon the Earth. He also detailed the hypothesis of the separation that the Earth will be undergoing during the timeline around the year 2012, or shortly thereafter. Overall, lots of wonderful and thought provoking information to be had on this show. To listen to and to find out more information on this show go to the Life Changes! archives. Excellent interview despite all the technical difficulties. – April 18, 2010 | Time: 2 hrs. After an absence of over four months on the airwaves, David Wilcock finally appeared for a new interview in the year 2010. On this occasion, it was on the "Create Your Life By Design" show with host Dr. Robert Pease, airing on the Co-Creator Radio Network, Sunday, April 18, 2010. This radio interview was originally scheduled to run for a limited time, but David was persuaded to remain for an additional hour. During that time, he discussed much of the information he had covered in a post to his DivineCosmos web site entitled, "Is ESA Planning to Announce Phobos is an ET Base?" David also covered in detail the research presented by Richard Hoagland ("For the World is Hollow ... and I Have Touched the Sky!") regarding the moon Phobos, located in orbit around Mars. According to Mr. Hoagland, the European Space Agency (ESA) is poised to announce to the world that Phobos is actually an artificial space station, built by extra-terrestrials. To listen to this interview, visit the Co-Creator Radio Network archives. More information can also be found in the DivineCosmos archives. Excellent and exacting new information. Highly recommended! After an an absence of over two months from the radio airwaves, David Wilcock was back December 10, 2009 on the Camelot Whistleblower Radio show, which has now relocated to The Micro Effect Radio Broadcast Network. During this two-hour interview, hosted by Kerry Cassidy, David discussed the appearance of a strange anomaly that was filmed in the early morning sky over Norway, mere hours before Barrack Obama was due to accept the Nobel Peace Prize in Oslo. David cited an investigation by Richard Hoagland in which a HAARP station was discovered near this area in Norway. David and Richard Hoagland have both speculated that this anomaly, in the form of a spiraling blue light, was a warning to President Obama by the powers that be, regarding his extra-terrestrial disclosure announcement, rumored to be imminent. David also discussed the other rumored disclosure announcement date of November 27, 2009, that was originally revealed to him by Dr. Pete Peterson back in June. However, that date had been leaked at the A New World Conference in Zurich, Switzerland in July by Bill Ryan, although not widely known. Very good update of current events and information. After an absence of nearly seven months, David Wilcock was back on the Coast to Coast AM radio show with host George Noory, in a show entitled, "Prophetic Dreams & Evolution." This marked David's ninth appearance on the very popular late night radio program. David came on during the first hour, staying through the end of the third hour and he had a mother lode of information to dispense about his prophetic dreams and intel he has gleaned from many whistleblowers and insiders. "We're so close now to where these things are going to start really happening, that I am starting to open up the records and let this stuff go out.," David stated of his astounding new information that he normally presents at his conference lectures. "Because it is just too important not to talk about," he added. He wasted no time getting into some fascinating concepts such as supercharged evolutionary change, the Flynn Effect, and the Great Pyramid timeline, that points to 2012 as the most important year of all in Earth's history. "We are in the era of universal reincarnation where every person who's been alive on Earth is alive now," he stated. David then went on to discuss a variety of secret information that has been given to him from insiders. He said has been told of the exact date that the US government is planning to reveal the existence of extra-terrestrials to the world. Although he would not divulge that date due to safety concerns, he claimed it would occur sometime before Christmas 2009 and that television time has already been arranged. "I have been entrusted with a lot of information, unfortunately, the more you get told the less you can talk about," he said. "The insiders are absolutely scared out of their wits now. They are in an absolute state of panic... but what is really going on is their grip on control is about to be broken. The Federal Reserve is in the process of being dismantled," he added. "There is a sequence of events that is about to unfold on this planet which will at first will appear to be the most horrific economic vomiting we've ever seen. It is so terrifying that the insiders believe that America is going to collapse into total anarchy, cannibalism and violence," he said. However, David offered assurances that nearly all of these events are leading to a wonderful outcome. "There is a management in place... there are forces that are much more powerful that will stop these genocidal plans and will ensure what we go through as a planet will be a smooth transition. What excites me the most is how fast some these changes are going to happen." Commenting on all of the concern regarding the swine flu pandemic, David said, "I would definitely, definitely, definitely think twice before taking any medication or vaccine associated dealing with the swine flu." More information on this radio show can be found at the Coast to Coast AM archives. Excellent and absolutely exciting information covering a wide gambit of current and prophetic events. Highly, highly recommended! David Wilcock has quickly become the most favored guest on the Camelot Whistleblower Radio show, returning for the third appearance on Thursday, September 17, 2009. As usual, he had a great deal of extremely exciting information to dispense, particularly about a series of dreams he has been experiencing that are pointing to a clear epic event that is about to transform humanity. "I've never had this much data on a dream event before," David proclaimed. "Everything that western civilization has ever been, at least in modern history, is building up to the moment that is going to occur sometime in the next six months or less," he added. "What I am seeing is basically a very substantial defeat of the New World Order, which also will eliminate their financial ability to harass disclosure groups. Disclosure is absolutely going to happen and actually being planned," he added excitedly. "I never had much this data on one event before," he surmised. "The basic message seems to be that legal and political maneuvers are now being made against these so-called New World Order groups," he said. "What I am seeing is basically a very substantial defeat of the New World Order, which then will also eliminate their financial ability to harass disclosure groups. Disclosure is absolutely going to happen and is actually being planned, this all came to me in the last four or five days" he added excitedly about two key insiders who have recently stepped forward to provide him this information. "The things that I have been hearing... it is just going to blow people's minds out of the water," he said confidently. "It is going to hit the public like nothing before. It is going to be amazing." For more information, see our News article "David Wilcock Sees Unprecedented Positive Events Unfolding Over the Coming Six Months". David cited a news article posted on the allnewsweb.com web site entitled, "Google's UFO connections." This news story by Michael Cohen covered the preparations that are being made for UFO disclosure by the government, Barack Obama, religious leaders, etc. David also mentioned the release of the new Michael Moore film, "Capitalism: A Love Story" as becoming a potentially galvanizing event for the awakening of the masses and the fall of the New World Order. Following up on his interview with Dr. Pete Peterson, and the discussion about the healing properties of the oil from the rat fish species that both prevents tooth decay and decalcifies the pineal gland with a substance called, "Activator X," David reveals he has uncovered a product that he personally tested and recommends. It is called skate liver oil and can be ordered at greenpasture.org or go to their product page to find a variety of other products such as BLUE ICE™ Fermented Skate Liver Oil Non- Gelatin Capsules (capsules) that contain this substance: http://www.greenpasture.org/retail/?t=products. Their contact phone # is 402-858-4818. To listen to the complete program go to the American Freedom Radio archives or the Camelot Whistleblower archives. More information about the show can be found on David Wilcock's web site, divinecosmos.com. UPDATE – 9.25.09: Project Camelot has announced they will be discontinue hosting their radio program, Camelot Whistleblower Radio, but will concentrate on their usual format of releasing audio and video interviews on their own web site. Spectacular interview with equally fantastic positive information on David's prophetic dreams and much more. One of his best interviews ever! David Wilcock was back on Camelot Whilstleblower Radio as he was returning from a highly secretive meeting with government insider and whistle blower, Dr. Pete Peterson. Joining David, on this radio program, as usual, were Project Camelot hosts, Kerry Cassidy and Bill Ryan, along with special guest, Doc Barham. The interview was conducted from the chaos of an airport terminal and on a single shared cell phone, but nonetheless, offered a great deal of interesting and current information. David, Kerry and Doc discussed some of the startling testimony they had received from Dr. Peterson, who believed President Obama would reveal the existence of perhaps six to eight extra-terrestrial races to the American people, before the end of 2009, possibly as early as September. Eventually, David wrote about this interview on his web site in a post entitled, "Toronto Conference, Disclosure Updates, and David on Project Camelot, June 25: Transcript!" UPDATE: The entire video interview with Dr. Pete Peterson was finally released on September 4, 2009 and can be viewed in our David Wilcock Video section. To listen or download to this radio show, go to the American Freedom Radio archives or the Camelot Whistleblower archives. Excellent current information with much more to offer in the full length video interview with Dr. Pete Peterson. Project Camelot hosts, Bill Ryan and Kerry Cassidy, have begun a brand new program, entitled Camelot Whistleblower Radio, on the American Freedom Radio network, which airs Tuesdays and Thursdays for two hours from 11 AM – 1 PM PST. On June 25, 2009, David Wilcock made his first appearance on the new radio program and had many excellent topics to discuss. Unfortunately, the numerous commercial breaks somewhat disrupted the flow of the conversation, as both hosts Bill Ryan and Kerry Cassidy readily admitted. However, David managed to cover some fascinating subjects such as mathematical codes found in the Great Pyramid in Giza, as covered in the book, "Decoding the Great Pyramid" by Peter Lemesurier. He also previewed his appearance at the A New World If You Can Take It! conference upcoming in Zurich, Switzerland from July 10-12, 2009, in which he will discussing the aforementioned pyramids, crop circles and more. You can listen or download this show at the Camelot Whistleblower archives. Very good program with a wide range of timely topics. – June 24, 2009 | Time: 1 hr. 48:19 mins. David Wilcock made a long anticipated return to the radio airwaves on June 24, 2009 on the fabulous Myth or Logic Talk Radio show. This was David's record sixth appearance on the program. Much had transpired with David since his last radio appearance in over a month, as he had conducted two major conferences, one in New York City and the other in the Canadian Rockies, over the previous two months. During the first hour of this program, David discussed some fascinating information on the numerous sightings of dinosaur-like creatures around the world and throughout history. He explained that creatures like the Loch Ness monster, Ogopogo and, even fire breathing dragons, have gotten trapped in time portals and that popped them into a future reality. During the second hour, he covered President Obama's recent visit to the Middle East and the speech he gave in Egypt, Jimi Hendrix, the Woodstock Festival in 1969, the "Maharishi effect," the propaganda on the alternative media and much, much more. You can listen or download this program in the Myth or Logic archives. Very good information on an a vast array of subjects. 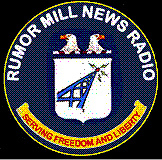 For a second occasion, David Wilcock returned to the Rumor Mill News Radio network for a two-hour broadcast on February 9, 2009, hosted once again by Rayelan Allan. The most astonishing information to come out of this interview was the news that David will be appearing, along with Richard Hoagland, on a 2012 special to be aired on the NBC network. In fact, David revealed that the NBC producers had decided, after interviewing him for the this special, to change the entire focus of the program to the more positive aspects of 2012. In fact, during the first hour of the Rumor Mill News Radio interview, David began immediately to discuss the year 2012 and offered details into transition process that will unfold for the Earth and its people. He also delved into his links to Edgar Cayce, ancient Atlantis, and Egypt. Much of the remainder of this broadcast was spent discussing the Knights Templars, NWO factions, the ancient elite family bloodlines, along with much new information that has come to light, courtesy of Benjamin Fulford. Another very good interview on Rumor Mill News Radio with host Rayelan Allan adding much exciting news of her own to the discussion. – March 5, 2009 | Time: 20:42 mins. David Wilcock appeared briefly on this UK radio show out of London called "The Night Before" on March 5, 2009 with host Nick Mangerrison. He remained on the air for only about 20 minutes. He spent nearly the entire interview discussing the profound effects that group meditations, or the "consciousness field" can have upon the collective consciousness of humanity. To listen or download this program click here. More information about this program and a transcript can be found at divinecosmos.com. Good interview, although much too brief. Returning for a third occasion in the past two months, David Wilcock appeared yet again on the Coast to Coast AM radio show on March 3, 2009. Although not the primary guest for the evening, David checked in during the final hour of the broadcast in which he provided an update to his latest information on 2012, the recent Conscious Life Expo that was held in Los Angeles and strange new marine species that discovered called "the immortal squid" and so much more. He also fielded several of the listener questions. "In this greater reality, there is only one of us here. There is only one Infinite Creator. We are already back home with the Creator, we never left. And we are in this finite structure that gives us space and time to work with for our own evolution. ...the Earth is a sacred laboratory created to teach us to love. And everything that happens to us here is extremely scripted and extremely well proportioned by higher dimensional beings who actually are watching over what we are doing and helping usher us into the future. I really do feel, 2012 is a positive event. That there is an intelligent design to the whole galaxy and we're being pushed into a mass evolutionary event which does appear to be a dimensional shift. And I do feel, that it ultimately will lead to a transition in which there is a level of the Earth that will go through a pole shift and all those nasty things, but the level which we're on won't have that happen, because our bodies will be multi-dimensional. Everybody on the planet is going to pop into this other realm, in which it is like going through a stargate, and it's a like a light activation event. So you aren't going to have to experience anything fearful or negative." More information can be found on the Coast to Coast AM web site. Further information can be found on divinecosmos.com. Excellent, inspiring interview, although one of his briefest to date on Coast to Coast AM.